For our hotel guests we cook every night a varied menu in 5 courses with appetizer of a soup – a first-class selection of salads at the buffet 4 different main courses to choose from – a vegetarian dish and finally cheese selection from the buffet and a delicious dessert You surprise yourself. Are you looking for the right wine? Our wine cellar is well stocked. And our restaurant team looks forward to recommending you with the right drops. 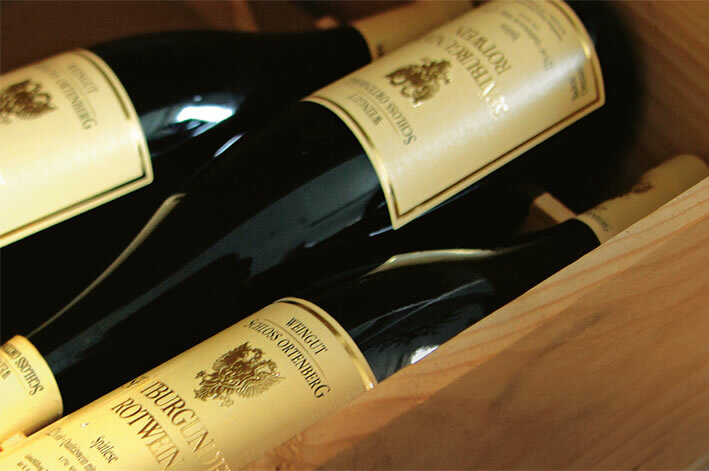 Not least because of this, we have been able to carry the “House of Baden-Württemberg Wines” award for several years. Monday and Tuesday our à la carte restaurant is closed. 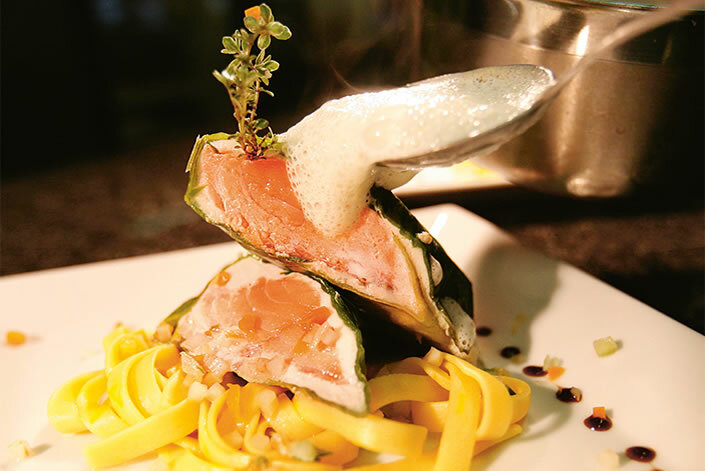 For our hotel guests we cook our gourmet evening menu with choices. Always discovering new things, composing to enjoyable symphonies and, at the same time, looking beyond the regional horizon: that is the motto of our chef Paul Finkbeiner. Under his expert hands, market-fresh ingredients with a lot of culinary art and attention to detail are transformed into culinary experiences. Malachian, sometimes Swabian, sometimes classic, always seasonal – and always with a lot of personality.